How to drastically reduce evaporation? Fluids used in the hydraulic fracturing (also called “fracking”) process are returned to the surface. These flowbacks are generally stored in open pits (fracking ponds) or tanks at the well site prior to disposal. Flowbacks are a combination of water, sand, sediment, oil and other additives which must be contained to ensure it does not permeate into the ground. 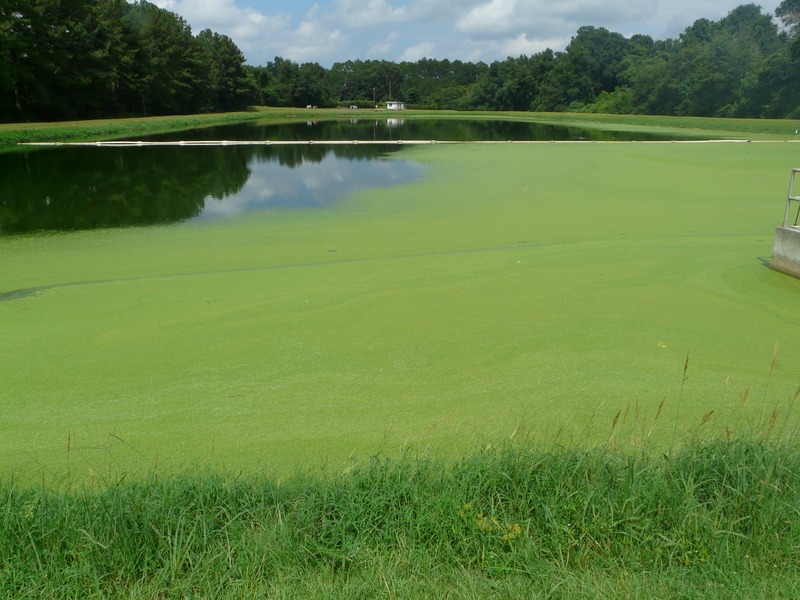 Frac fresh water ponds are typically covered to prevent algae growth and evaporation. AWTT has pioneered water evaporation control through the use of floating frac pond covers. During hot months, operators experience loss of 1 to 4 inches per day due to evaporation. A good floating cover will save money for operators, substantially reducing the evaporative loss of water resources. If a frac pit will be used for more than a year, an evaporation covers should be considered, off-setting the loss of evaporation and save you money long into the future. A good cover will prevent light from entering the water column and will prevent the growth of algae and other noxious weeds. AWTT has installed covers when ponds are full of water. The Hexprotect AQUA cover naturally floats and self align across the surface of the water. This is the preferred technique, also called a “wet” installation, and those not require modifications to the frac pit. In instances where produced water is being stored in a pit, a cover can also be used in place of a bird net.